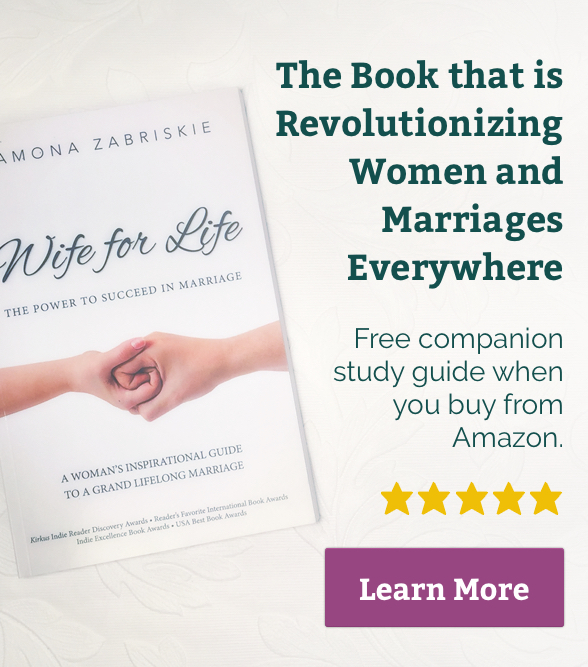 I recently read a report by the Gottman Institute about Dr. Gottman’s long-term study of 130 newlywed couples, in which it was discovered that men who allow their wives to influence them have happier marriages and are less likely to divorce. Of course I LOVE and herald Dr. Gottman and am indebted to his bonafide scientific research into what makes a marriage successful, but it seems to me that this finding in particular fits into the “Newly-Discovered-Facts-That-Every-Mature-Husband-and-Wife-Has-Known-for-Millenia” category. I believe in and teach fully-vested partnerships. 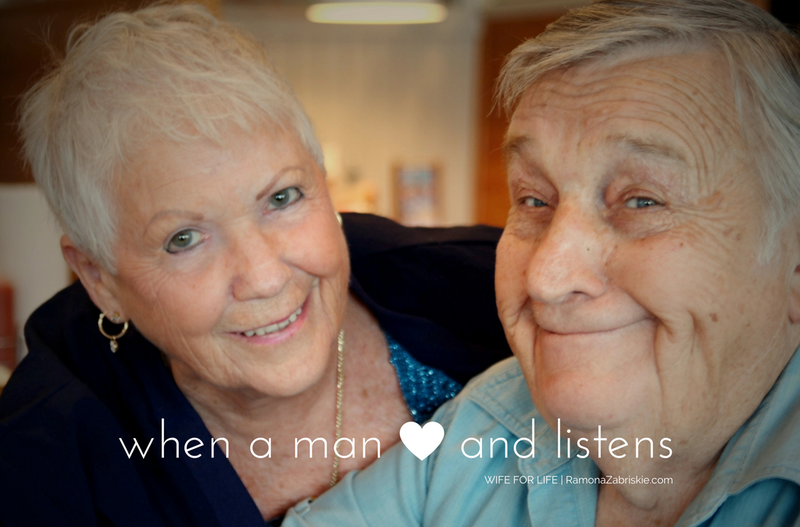 Grand Marriage includes mutual respect, co-problem-solving, and shared dreams. Partnership on that level is not a given however; it doesn’t just happen. 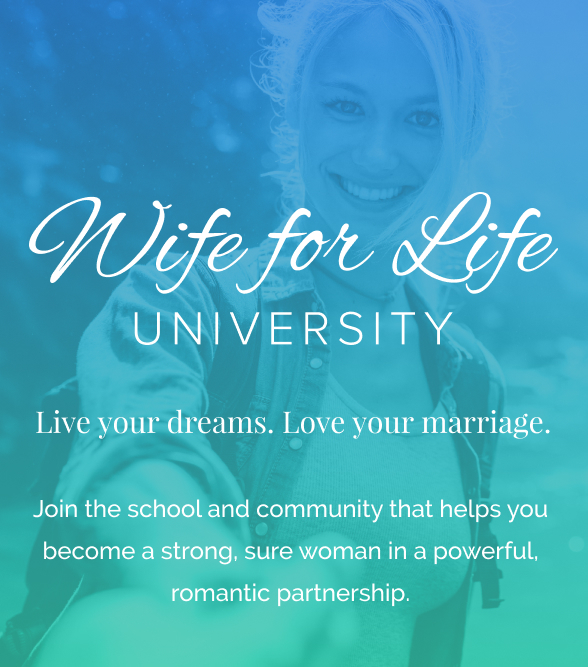 In my experience with hundreds of Wife for Life readers and University students, well-intentioned men are generally eager to partner with, and be influenced by, their well-intentioned women, especially IF that woman has made the effort to understand her husband as a man and as an individual. For instance, most men lean towards thinking analytically (sans emotion) and independently (no committee); which, in fact, can be a help to the family during a real crisis. If she gets that and respects it – even loves that about him (along with a myriad of other male/female dynamics), chances are, he will, eventually, be open to, even seek out, her experience, suggestions, opinions, and wisdom. The resulting back and forth, the marital give and take, becomes a synthesis and a symphony of thought and action that over the years becomes so seamless, it’s hard to identify who (between the two) originally thought this or that. My parents are a case in point. As a little girl, it was obvious to me, and my brothers as well, that my dad ran the family think-tank. He was fun-loving, but could also be very domineering: we never dared question him, and never dreamed our mother would. But something in their husband-wife dynamic shifted over the years. Dad started listening to Mom. At first, her influence was obvious to me like, “Where did that come from? 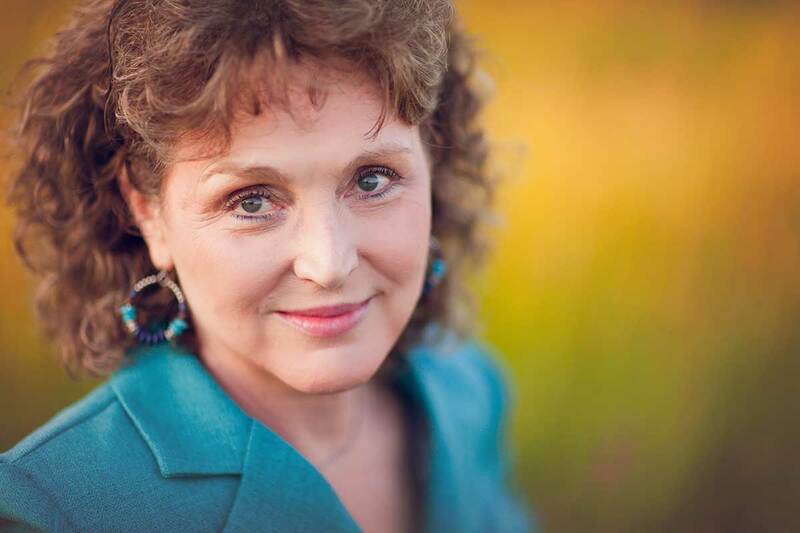 Oh, Mom must have talked to him…”, but gradually – and I remember being both amazed and amused by this when it first struck me – the line between “he said/she said” blurred. We couldn’t be certain any more if a particular decision or opinion or action bore my dad’s stamp or my mother’s. By the time I had my own children, I quit trying to figure it out. My parents were no longer keeping score: why should I? Still, I often wondered what mysterious phenomenon had been wrought upon my father: How had my mother’s influence transformed Dad from the self-determined, independent-to-a-fault, its-my-way-or-the-highway kind of guy, to the “I’ve-been-worried-about-you-honey, how-can-i-help, and what-are-you-thinking” sort of man? It took years of wifely experience and relationship research out the yin-yang and back, but I finally figured it out. My mother, from the start, was open to my father’s influence in her life – though the same could not always be said in reverse. Nevertheless, she had, over the years, patiently, with intelligent, intentional respect and example, gained and secured so much ground in her husband’s heart, that he had wisely and willingly opened his mind to her too. Sixty years after the merging of their lives, the merging of souls is almost complete. My Dad has a favorite saying these days. He’ll share it with anyone who’ll listen, or anyone who doesn’t have a choice but to listen, like the young man serving us at my parent’s favorite restaurant last week. There it is, Dr. Gottman. I bet my students would like me (or you!) to write a book about that. 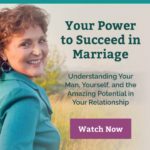 Watch Ramona Zabriskie’s on-demand webinar: YOUR POWER TO SUCCEED IN MARRIAGE: proven principles and remarkably effective strategies for overcoming differences, building intimacy, and creating the marriage of your dreams: absolutely FREE.